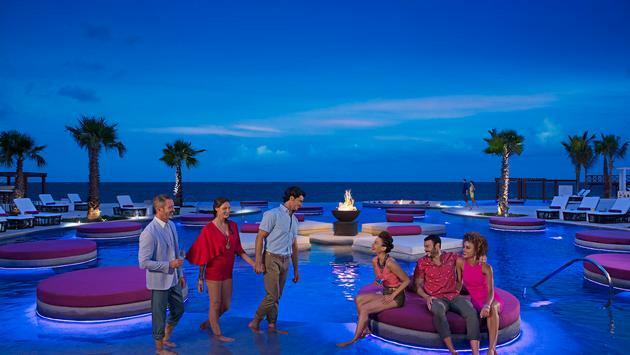 With the holidays right around the corner, a stay at Breathless Riviera Cancun Resort & Spa never sounded so good. In case the idea alone isn’t enough to get you moving, spend some extra time in paradise with the 5th night free! That’s right—free. Book your stay for four nights or longer at Breathless Riviera Cancun during the holiday season and receive one night free. And that’s not all! Not only are you getting an extra night to party in paradise, but you can also receive up to $400 in resort coupons. It’s simple really—just book your stay by November 19 for travel from December 22 through January 5 and a free night is all yours. Take your last breath of 2018 at Breathless Riviera Cancun and join us for celebrations like our La Catrina New Year’s Eve Fiesta! We want to spend the holidays with you in paradise so book today! For even more great prices and special deals, check out our special offers page, including our Vacations Half Off! special. Breathless Riviera Cancun Resort & Spa is a vibrant, chic and modern all-suite resort consisting of 526 ultra-contemporary suites that are spread amongst three distinct buildings and zones, each offering their own unique personality and vibe. Enjoy the Unlimited-Luxury inclusions of boundless gourmet dining and premium brand beverages at ten trendy restaurants and nine bars and lounges, along with 24-hour room and concierge services, a captivating events calendar and more. The options are endless here at Breathless Riviera Cancun! What are you waiting for? For more information on Breathless Resorts and their one-night free special, visit their blog page here.